Our team has been providing quality and affordable property management services to the greater Austin area for over 25 years. 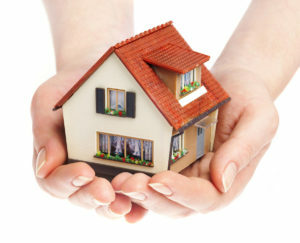 Contact us today to find out why our customers entrust Hope Properties with their assets. Looking to get started today? We have managed, leased and sold in Austin and surrounding areas for over 25 years. These areas include: Austin, Round Rock, Cedar Park, Leander, Georgetown, Hutto, Pflugerville, Manor, and Buda. If you are looking for a professional full service property management company in the Austin area, look no further, Hope Properties ​is the premier property management in the greater Austin area. Our team's commitment to professionalism sets us apart from our competitors. Don't believe us? Read our customer testimonials. Our team takes great pride in listening to our customers' needs, and we are constantly incorporating their feedback into our operations. As a result our techniques are tailored to your goals as a property owner. Hope Properties knows well the challenges that property owners face, especially when they have dedicated years of time, effort, and money into it. Our team understands the value that your property has to your family and business, and we are well-equipped to handle even the most exceptional of cases. Additionally, our experts bring with them a comprehensive understanding of the Austin markets to better protect you and your assets from the unexpected. William has managed two of my investment properties in Austin. He has done a fantastic job with keeping good tenants. I love Hope Properties! They are extremely professional and efficient. Property management is difficult having to be an intermediary between the tenants and owners. William's does whatever it takes to keep the residents and owners satisfied. The goal of Hope Properties​ is to be the fastest and most cost effective property management team in Austin, Texas and surrounding areas, while striving for efficiency and keeping up to date with the newest changes in property management and sales. Site Developed By Datagonia Web. © 2016 Hope Properties. All rights reserved.